« Is Curtis Martin a First Ballot Hall of Famer? The Jets have signed one of their own to a contract extension. But no, it’s the person everybody thought it would be. Instead, it’s special teams coordinator Mike Westhoff. 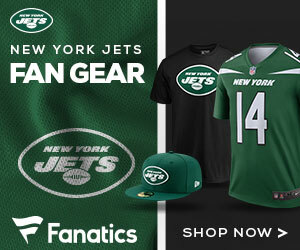 Mike Westhoff, the highly regarded special teams coordinator of the New York Jets, signed a one-year contract extension through 2011 on Saturday, a league source told ESPNNewYork.com.Barring a change of heart, Westhoff’s plan is to retire after the 2011 season, the source said. He is 62 and has endured at least nine operations on his left leg to combat bone cancer. Westhoff, hired by the Jets in 2001, stepped down for health-related reasons after the 2007 season. In February 2008, he underwent a 10-hour femur replacement at Memorial Sloan-Kettering Cancer Center. He figured his coaching career was over, but he recovered so quickly that he returned to the Jets before the start of the 2008 regular season. For a quarter-century, Westhoff has been known as a pioneering special teams coach in the NFL. His units are generally ranked among the league leaders. Glad to hear it. Westhoff is one of the best in the business. His special teams units have always given the Jets a leg up on their opponents.